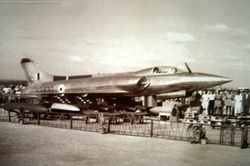 India's first indigenous fighter, built by HAL and designed by Prof Kurt Tank of Focke-Wulf fame. 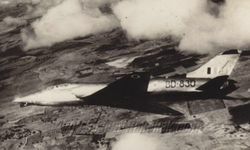 The third pre-production prototype in flight - the aircraft banks to the right, showing off the sawtooth in the wing. Maruts and Canberras - Possibly at Jodhpur. 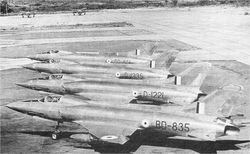 Four HF-24 Maruts [BD835, D1221, D1235, BD851] on the lineup at an unspecified airfield. Note the Canberras in the background. Marut BD842 is the 15th Pre-Production example inducted into service. Full production started after another another aircraft followed BD842. 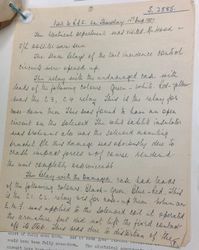 BD888 - The first two seater. 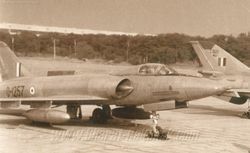 The first two-seat prototype of the HF-24 Marut Mk.1T, BD888. 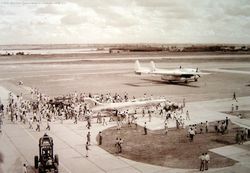 Crowds throng the first Marut Prototype BR462 at HAL airport in Bangalore on the day of its first flight. 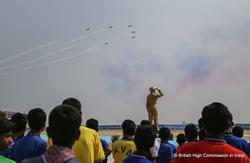 D1205 was handed over to the IAF Museum, in an airworthy condition. The aircraft reportedly can be made airworthy with little effort. 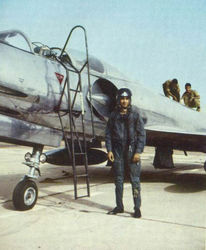 A Marut [D1209] being prior to being fuelled up and being prepared for a sortie. 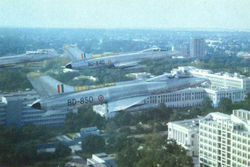 This HF-24 Marut was displayed at the Presidential Review 1976 at Chandigarh. Note the blanked off nose outer cannon. A Marut Mk.1T [D1701] two-seat trainer, at HAL's aircraft manufacturing facility in Bangalore. BD888 (c/n HF046) is a two seat variant - undergoing checks at HAL Bangalore.